Indoor cannabis growing has many benefits including better yields in a controlled environment. It is not only good for weed, but vegetable gardeners will also find this form of gardening, quite useful – who wouldn’t want some bigger sweet and succulent tomatoes? There are three types of light fixtures for indoor gardening, depending on your budget, and needs. You can find a more comprehensive guide on Michelle’s light guide and tips. 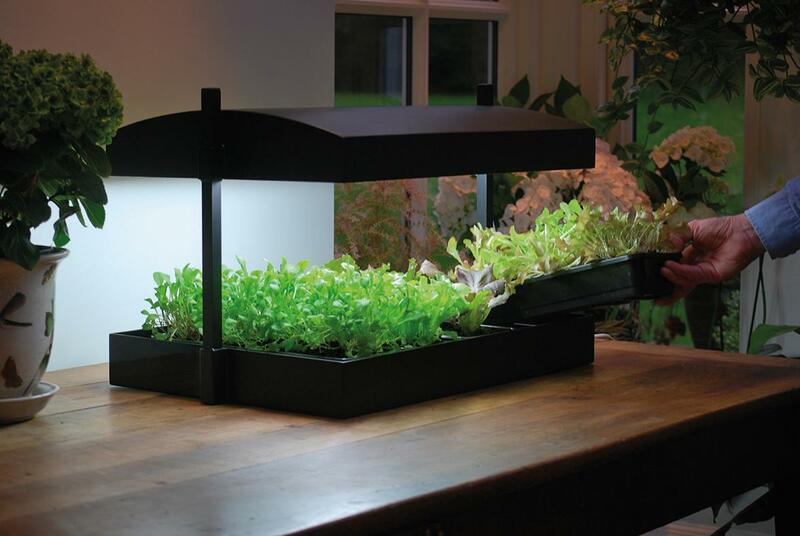 The high-pressure sodium lights are some of the most common indoor gardening lights. Typically, they are ideal for the flowering stage and are quite efficient in stimulating bud production. HPS grow lights, during the flowering stage, have the best yield per watt than any other light you will find on the market. HPS lights are less costly than metal halide and boast a better output per wattage. HID lights are also ideal for the flowering stage; they release reddish and orange spectrums that promote budding by triggering plant hormones. Other fixtures that you require, along with HPS include a ballast and special hood. You will also need to provide extra ventilation since the lights can get hot, possibly scorching the leaves. The ceramic metal halide lights have certain similarities to HPS lights but use ceramic as part of the light. The additional ceramic makes them more efficient than the common metal halide without the ceramic. Metal halide lights use less energy than HPS and produce less heat, meaning that you will need some of those large fans used by HPS grow rooms. They also keep brighter for longer than HPS and come with a built-in-ballast. And unlike HPS, metal halide produce UV rays, important for enhanced trichome development and better-smelling buds. UV rays make your vegetable plants more resilient to fight off unnecessary infections and pests. Unfortunately, metal halide is costlier than the HPS, and cannot match the same yields per wattage as their counterparts. And even though they are cooler than HPS, you will need to provide some ventilation for efficiency. LEDs are the most innovative grow lights at the moment. Specifically, these lights run cool, are energy efficient and may not require any setup. You will get better yields with LEDs than HPS and are cheaper to maintain in the long run. You may need to combine HPS with LED for the best results. When purchasing LED light fixtures, make sure they have white or green spectrum, along with blue and red. Otherwise, plants without some white or green spectrum may be nutrient deficient – not good for your veggies. LEDs come as a package, and may not need to purchase additional equipment. Some growers prefer the HPS lights as they associate them with better yields per watt than LEDs. However, the new generations of LEDs are better, and with better yields than any other kind of lights. Bigger LEDs may need additional ventilation, meaning additional cost for you. You will also need to keep them at a distance, or you may find your tomatoes screaming when the room gets too hot.